Please take advantage of my **REDUCED PRICE** ITEMS NOW ON SALE. 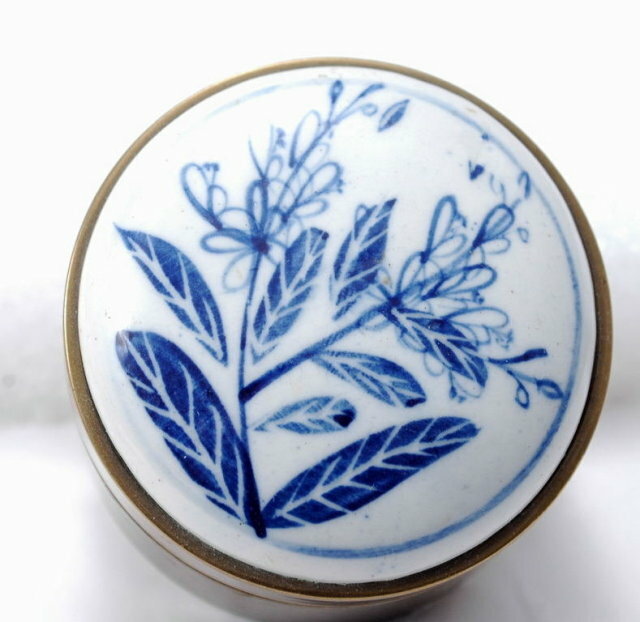 Simply click the box to "VIEW THIS DEALER'S OTHER ITEMS" then scroll through my inventory list and you will see many items with PRICE REDUCTION OR PRICE REDUCED.Blue White Porcelain Top Brass Container Round Trinket Box. The condition is good. 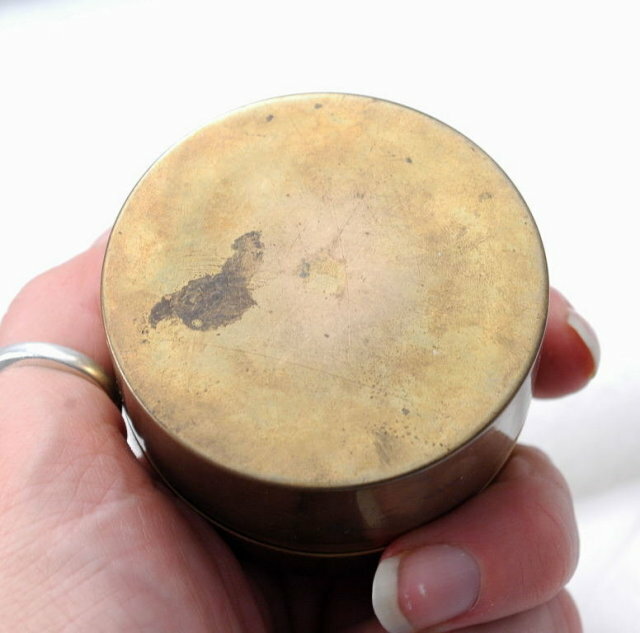 There are some scratches on the bottom as well as some extra tarnish marks. 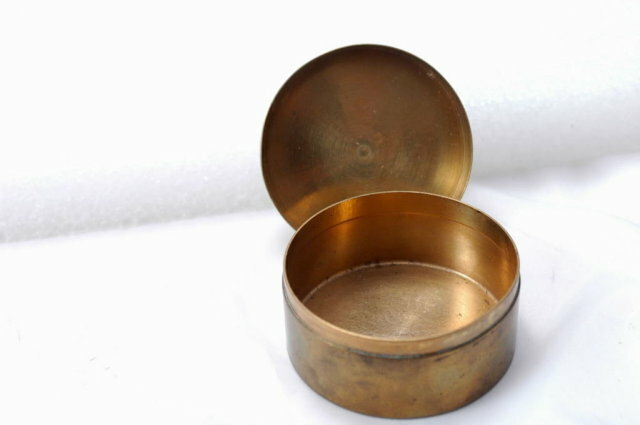 The brass is dark with patina. There appears to be some rubbing off of the finish on some areas on the outer rim of the porcelain top. 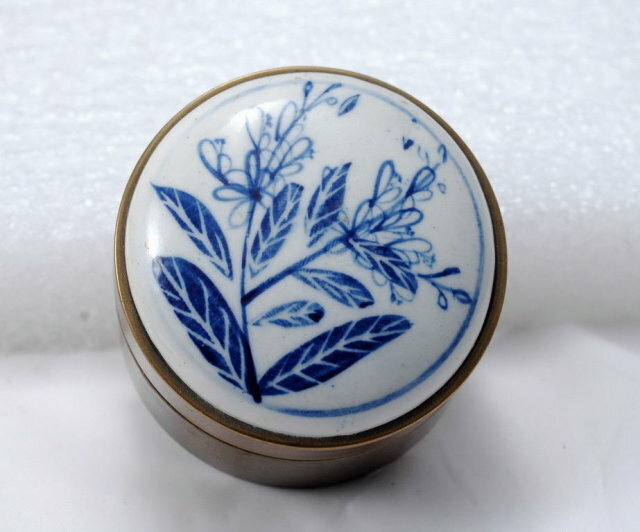 Items Similar To " Blue White Porcelain Top Brass Container Round Trinket Box **PR..."